The present compilation of ballads from the Mexican states of Guerrero and Oaxaca documents one of the world’s great traditions of heroic song, a tradition that has thrived continuously for the last hundred years. The 107 corridos presented here, gathered during ethnographic research over a period of twenty-five years in settlements on Mexico’s Costa Chica and Costa Grande, offer a window into the ethos of heroism among the cultures of Mexico's southwestern coast, a region that has been plagued by recurrent cycles of violence. John Holmes McDowell presents a richly annotated field collection of corridos, accompanied by musical scores and transcriptions and translations of lyrics. In addition to his interpretation of the corridos’ depiction of violence and masculinity, McDowell situates the songs in historical and performance contexts, illuminating the Afro-mestizo influence in this distinctive population. John Holmes McDowell is a professor of folklore and ethnomusicology at Indiana University. Among his earlier books is Poetry and Violence: The Ballad Tradition of Mexico’s Costa Chica. “The University of New Mexico Press returns with another stunning songbook, this one focusing on the musical traditions of Mexico’s Costa Chica and Costa Grande region.”—¡Ask a Mexican! 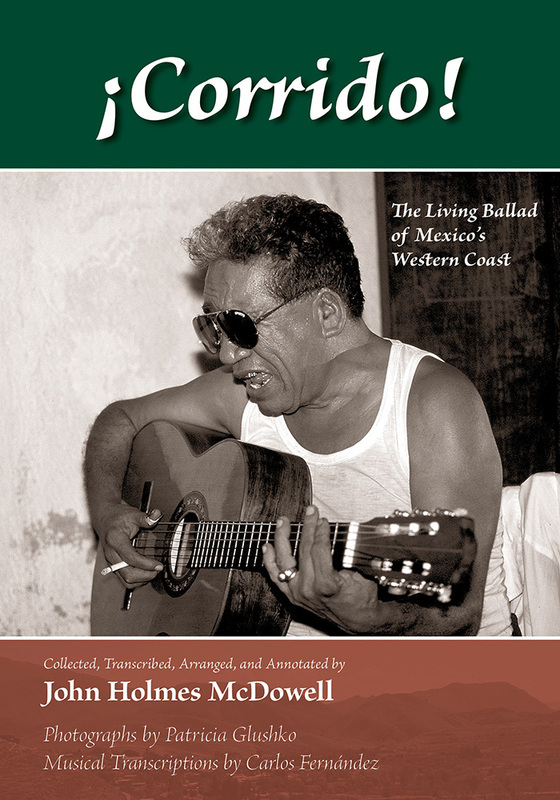 “This sensitive analysis of the ballad tradition of Mexico’s Costa Chica speaks of McDowell’s deep humanity. Rarely have corridos been treated with such delicate insight into the human struggle and drama to reveal the complexity of life in communities in the grip of endemic violence.”—Helena Simonett, editor of The Accordion in the Americas: Klezmer, Polka, Tango, Zydeco, and More!